Jim Harris came from humble beginnings in Mississippi, picking cotton and driving trucks to make ends meet, but he was eventually transformed into an Ugandan Giant. 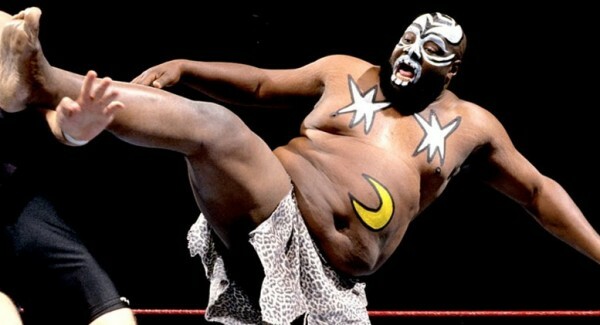 As Kamala, Harris competed in the WWF during their glory days and squared off against greats like Hulk Hogan and Andre the Giant. Harris recently took off the face paint and sat down with us to share some stories. Where are you originally from and what was your childhood like? I’m originally from Mississippi, where I reside now, in a little place called Senatobia about 30 miles south of Memphis. I was raised in a place called Cold Water, which is about five miles north of here. Memphis is where we do our shopping and everything, so I’m there just about every day I’m not on the road. We were a real poor family. We were like share croppers, picking cotton, chopping cotton, that’s how we survived. What made you decide to get into wrestling? And more specifically, how did one go about becoming a professional wrestler back in the day? Growing up, I liked watching wrestling, especially when I moved away from home in 1967 down around Florida. I used to watch guys like Dusty Rhodes, Thunderbold Patterson, Andre the Giant, just to name a few. I never did want to get into wrestling, but I left Florida and I moved to Michigan when I was about 25 years old and I met this wrestler called Bobo Brazil. I was with a friend of mine and I told him after I couldn’t find a job that I should start doing wrestling, but I said it as a joke. He took me to Bobo Brazil’s house, but Bobo wasn’t home, so he took me to Bobo’s friend. That’s how I started training. I just wouldn’t back out of it after I had said it. What was your early wrestling career like? My first match was with a guy named The Great Mephisto, Frankie Cain, and he broke myself, Percy Pringle, who is known today as Paul Bearer and Terry Gordy, Michael Hayes, all of us were broke in together. We started together in Mississippi and we weren’t making any money, but we were getting experience. Percy Pringle was my very first manager ever, back in 1978. What was your character then? What was your persona? “Sugar Bear” Harris was my first wrestling name and then we changed it to “Ugly Bear” Harris, “Big” Jim Harris, The Mississippi Mauler, I had quite a few names. How was the Kamala character created? 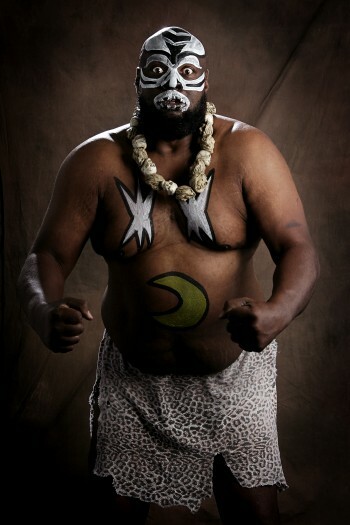 The Kamala character was created by Jerry Lawler. I kept it hidden for a long time because I like being creative myself, but Jerry Lawler, I give him the credit for it. I was living in London and when I moved back to Memphis, I had all my belongings coming by boat because I had so much – all my wrestling gear and everything. I wasn’t looking to go back into wrestling when I came back here because my ankle was broken, it had to heal. After a while, it was taking so long for my stuff to get here, so I went to Memphis to see a friend of mine, the late Dream Machine, because he could always get a hold of wrestling gear. So I went to see him and that’s when I ran up on Lawler and the local promoter, Jerry Jarrett, and they asked me if I’d do a gimmick for them. I said, “Yeah, I’d be glad to, but my ankle is broke.” They asked me to leave because they didn’t want the fans to see me. I went home, they called me that Wednesday and that’s when we put together the Kamala gimmick. I’ve got to give 99 percent of the credit to Jerry Lawler. How did you feel about the character early on? I liked stuff like that. Lawler asked me if I was going to be ashamed to do it, but I’m not ashamed to do stuff like that. I enjoyed it. You definitely committed to it and we think that’s what people responded to. I still enjoy it. I get in the ring once in a while now and I still enjoy it. How did you end up in the WWF? How did they discover you? 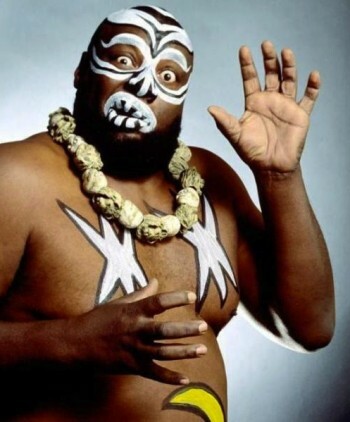 The Kamala gimmick was so good they were selling out everywhere that I would go. When you are a draw like that, word gets around. I was working with Andre the Giant a lot then and Andre told me that Vince McMahon was interested in me coming to, we all called it “New York,” and I told him yeah. But this was Vince McMahon Sr. I never got to meet him though; he died before I came there in 84. What was it like wrestling for the WWF during its most popular era? What are some of your favorite moments? Some of my favorite memories would be with the legendary Hulk Hogan, the legendary Andre the Giant, sell out crowds in Madison Square Garden and being on top. For a poor boy from Mississippi, it just was a thrill being on top. Who were your favorite people to work with? Hogan was one, not because he was a champion, but because he was a real gentleman and I felt comfortable working with him. Bret Hart, who is a real sweetheart, I loved working with Bret Hart. Was there anyone you wanted to wrestle against but never got the chance to? I always wanted to wrestle Ric Flair. I’ve been around Ric Flair for almost 30 years and I never wrestled against him and I always wanted to have a main event match with him. What caused you to stop wrestling on a regular basis? It’s kind of sad to say, but after all those years in the business, I didn’t make a lot of money, I wasn’t paid well when I was in the WWF. Vince knows he didn’t pay me what I deserved, after all the main event matches that I was in. I don’t know why because we had sold out everywhere. After they had beaten me all over like a drum, not bragging on myself, but I was main event material, they just wouldn’t pay me and they would use me. In 1993, they gave me my notice. They didn’t have any more use for me. My drawing power was gone because nobody wants to see a loser all the time. They never did say why, but I’m sure that’s the reason. Do you still wrestle? We know you have made a few surprise appearances in the WWE, but how often do you get back into the ring? I’m booked most weekends in places like New York, Boston, all up in the New England area. I signed a Legend contract with the WWE to make those wrestling figures, so I make appearances with the WWE once in a while. 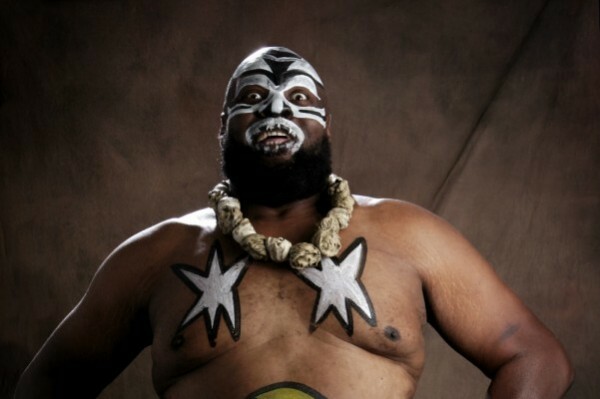 You recently did an angle on Raw with Umaga, who is in some ways very similar to Kamala. What was it like working with him? What made you agree to be a part of that angle? It wasn’t nothing special. He’s a great guy. I’ve known him since he was about 12 years old. I’ve been to Samoa – Samoa and I, we get along real good. I know I’m an old man now and I didn’t mind doing a favor for him to try to get him over, but I got a lot of emails about that saying that even at my age, I look more vicious and I looked like I was the killer and it just didn’t look like he could have beat me. It was disappointing the way they presented it. It seems like they could have done more with you since the characters are so similar. I think so too, but my word has no power. I could have refused to take the booking, but I like the guy. What do you think of wrestling today? In your opinion, how has wrestling changed or evolved since you broke into the business? Wrestling has changed. I liked the way it was when I was coming up and when I was in my prime because we told stories, we didn’t have to do a lot of high flying and all that stuff, getting hurt every night, we didn’t have to do any of that. I don’t know, but I do believe that wrestling is on its way out because it seems the fans have seen just about everything. There’s nothing left. Do you follow wrestling these days? I never watch wrestling on television. If I go to some of my friends’ houses and they watch it, then I will look at it, but I have no interest at all in watching it. What do you do these days? Do you have a regular job? I’m a truck driver. I was a truck driver before I became a wrestler. I’ve been driving trucks since 1970. When I was in my prime as a wrestler, I quit for about 20 years. After I left the WWE in ?93, I fell back into the truck. How often are you recognized in your everyday life? In my hometown, everybody knows me. I don’t get recognized in a lot of airports unless I go to New Orleans or New York or New Jersey. A lot of people don’t know that I write songs, I sing and I have a small studio here in my house where I do my own distributing. It’s been played on a lot of radios and I’ve had a lot of radio interviews. My songs have won contests against Randy Savage, Deion Sanders and a lot of others. We’ve got one last thing for you here. We are going to do a word association. We’ll just throw out a name and tell us the first thing that comes to your mind. I was only on one; I should have been at a lot of them. Great wrestler. I love working with him. Wealthy man. Real smart, real intelligent, but is all for Vince McMahon. Great who doesn’t want it all, just enough to take care of my family. If none of my songs become a hit with me singing them, maybe someone else will sing them and make a big hit. Interviewed by Joel Murphy, August 2006. To find out more about Jim Harris or to hear samples of his music, check out his official website.